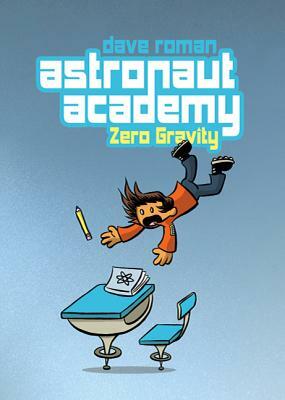 Dave Roman is the author/illustrator of the Astronaut Academy series and writer of the graphic novels Teen Boat! Race for Boatlantis and Agnes Quill: An Anthology of Mystery. He has contributed stories and art to Goosebumps Graphix: Slappy’s Tales of Horror, and Nursery Rhyme Comics. Roman is a graduate of the School of Visual Arts, a former editor at Nickelodeon Magazine and is currently series editor for First Second’s Science Comics series of nonfiction graphic novels. He lives in NYC and draws a webcomic called Starbunny, Inc.